What Happens When You Fall Out of Ketosis During Dieting? Ketosis, a metabolic state where fat rather than carbohydrates becomes your primary energy source, occurs only when you follow a low-carbohydrate diet or a near-starvation diet. Your body normally uses carbohydrates for energy. On a low-carb diet, you cut carbohydrate consumption, so your body must find a new energy source. Eating as little as 50 and 100 g of carbohydrate per day can keep you out of ketosis, registered dietitian Janice Hermann, Ph.D. of Oklahoma State University reports. If you fall out of ketosis, a low-carbohydrate diet may not work for weight loss. Falling out of ketosis may slow or stop your weight loss, because low-carb diets don't generally count calories. In fact, you may eat more calories while in ketosis and still lose weight. The official Atkins website published an abstract presented at the North American Association for the Study of Obesity Annual Meeting 2003. 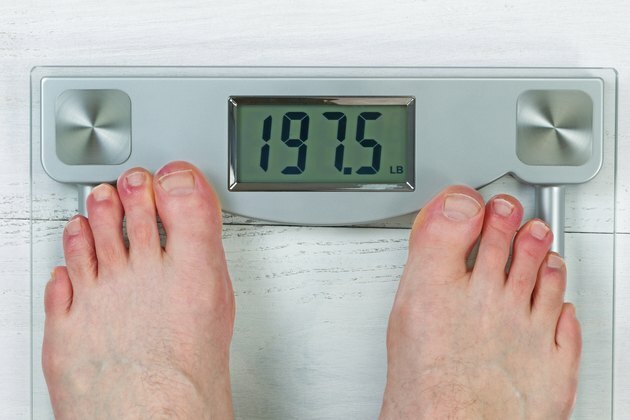 The 12-week study found that subjects following a low-carb diet who were consuming 300 calories per day more than subjects eating a low-calorie diet still lost more weight. However, if you are still eating fewer calories than you use, you may continue to lose weight even if you're no longer in ketosis. Ketone test strips measure the concentration of ketones in your urine. The specially impregnated sticks turn purple when urine contains enough ketones to register. Generally speaking, the darker the purple, the deeper your degree of ketosis. If your ketone test strips were previously turning purple, the test strips will not change color if you're no longer in ketosis. Being in ketosis appears to have an appetite-suppressant effect. This may help you eat less without feeling hungry while following a low-carbohydrate diet. If you're no longer in ketosis, you may notice your appetite returning. Signs of ketosis may include breath that has a sweet, fruity, acetone smell and a decrease in appetite. If you fall out of ketosis, your breath will no longer have the smell characteristic of ketosis. "Oklahoma State University Extension"; Carbohydrates in the Diet; Janice Hermann, Ph.D.